Chicago has made a name for itself in live theater and the performing arts, as a hub for off-broadway plays, epicenter of the Little Theater Movement, and with students from its improv comedy schools ascending to fame on Saturday Night Live. But with all the ink spent on Chicago theater, very little has splashed for the rich history of college drama departments in the Windy City. These institutions have not only trained up many of America’s stars of stage and screen, but also feed into the important local arts and multimedia production sectors, raising up the next generation of high school drama coaches and local television producers. 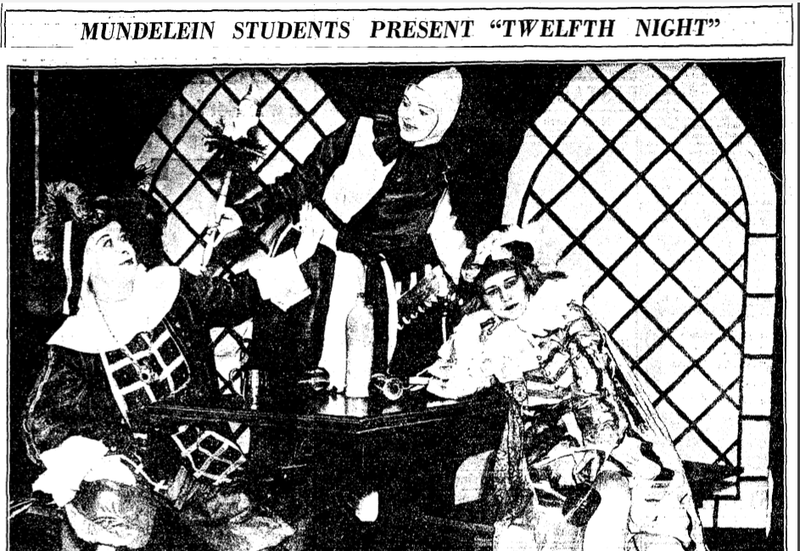 We can see an amazing example of such an institution in the drama department at Mundelein College, which lasted from 1930 to 1991 as one of the first – and also the last – private Catholic women’s colleges in Illinois. Far from an insular, strictly academic program, the theater department at Mundelein College shone brightly as both very communal and highly innovative. 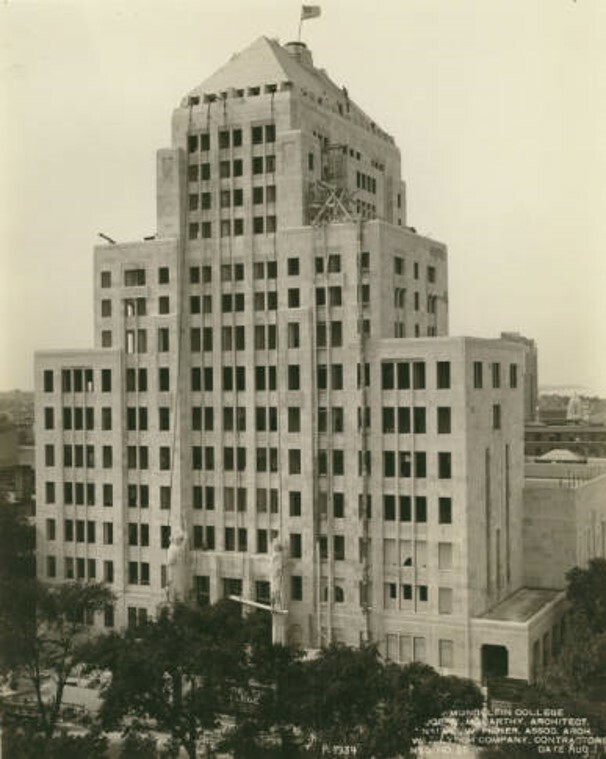 Sister Mary Leola Oliver served as the department’s first director from 1930-1938, and began the program’s long history of innovation. She not only produced an impressive array of productions ranging from Shakespeare to the tragicomedies of Henri Gheon, but also organized her students into a verse-speaking choir, a new concept from Europe where combinations of light and dark voices performed texts in half-spoken, half-sung arrangements. The program proved so successful that Sister Leola won her choir a 5-year radio contract with NBC, exposing Mundelein Drama to millions of listeners and giving students like Mercedes McCambridge a jump-start to their acting careers. The much-loved Sister Leola counted famous thespians – including Ethel Barrymore and Claude Rains – among her friends, leading to exciting guest speakers for her students. 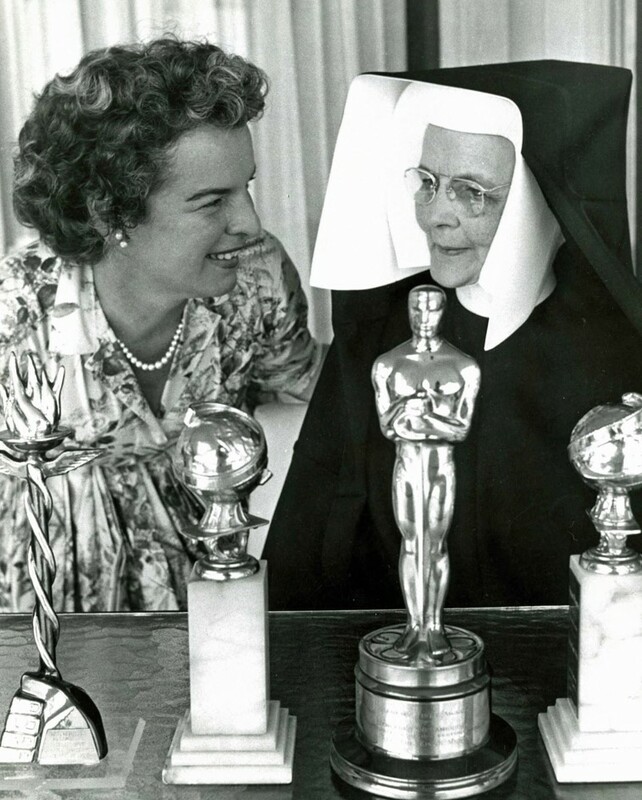 Photo of Sister Leola and her most famous pupil after Mercedes McCambridge won the Academy Award for Best Supporting Actress in All the King’s Men, 1949. 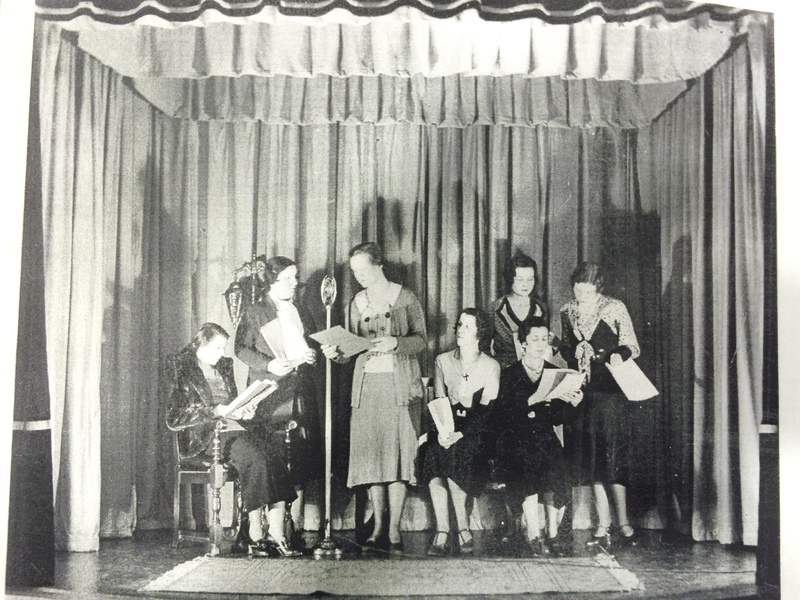 From 1938 to 1960, Sister Carmelia Hanses directed the department, which contained both the drama and speech programs at Mundelein. Sister Carmelia innovated by using theater to treat speech disorders, much as Viola Spolin created improv theater (also in Chicago) to help children develop socialization skills through play. 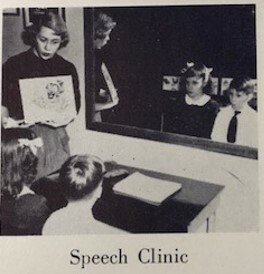 Under Sister Carmelia’s leadership, the Mundelein students coached a theater program for the children of Chicago, and many went on to work in the field of speech pathology. A Mundelein student leading a speech clinic for children. Although Sister Carmelia technically directed the program until 1960, the real director of the drama portion of the program from 1952 to 1980 was Sister Jeanelle Bergen, who prolifically produced three major plays a year in addition to smaller reviews and mosaics written by her students. Sister Jeanelle, while still incorporating the classics, also introduced her students to post-modern theater and plays with controversial topics, such as her 1968 production of Shelagh Delaney’s A Taste of Honey which tackles subjects including alcoholism, racism, and homosexuality. But perhaps Sister Jeanelle’s most innovative contribution to the program was her commitment to preparing her students for the television age. Despite a dearth of equipment, she arranged classes on television production, created local television programs related to the Catholic church, and even took a summer internship at a game show so she could learn the tricks of the trade to teach her students. 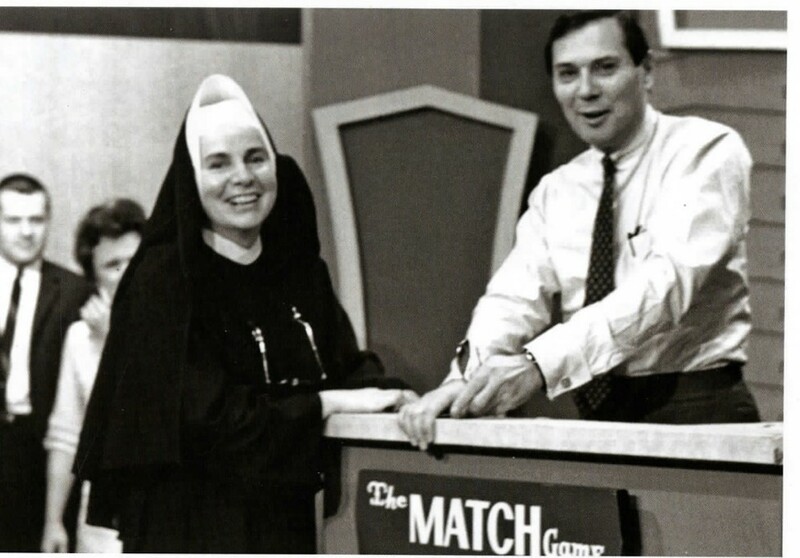 Once an executive hoping to score complimentary tickets called her “Jeanie Baby” on the phone, shocked to find on his arrival that “Jeanie Baby” was a nun in full habit, holding a clipboard while helping film “The Match Game”. Sister Jeanelle learning the ropes of television production while interning at a game show.